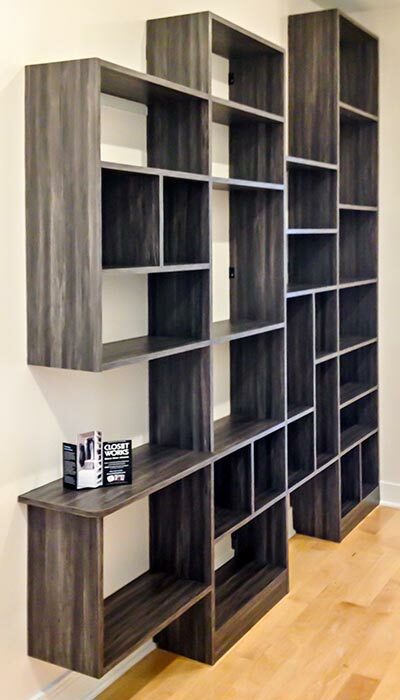 Built in bookcases offer the opportunity to combine highly functional storage with a unique and personal design statement. 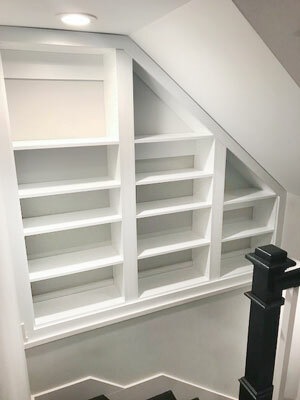 Very popular during the early 1900's American Craftsman era of design, built in shelves are enjoying a resurgence in popularity among homeowners across the United States. 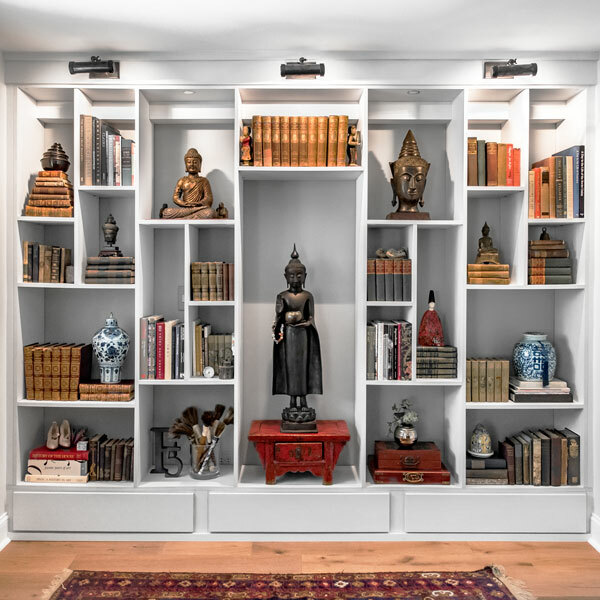 Today's built in bookshelves encompass many more design styles than just Craftsman, reflecting the tastes of the individual homeowner and the make-up of the home. Bookcases that span the entire range of styles from traditional, transitional, modern or contemporary are currently being added to many Chicagoland homes. 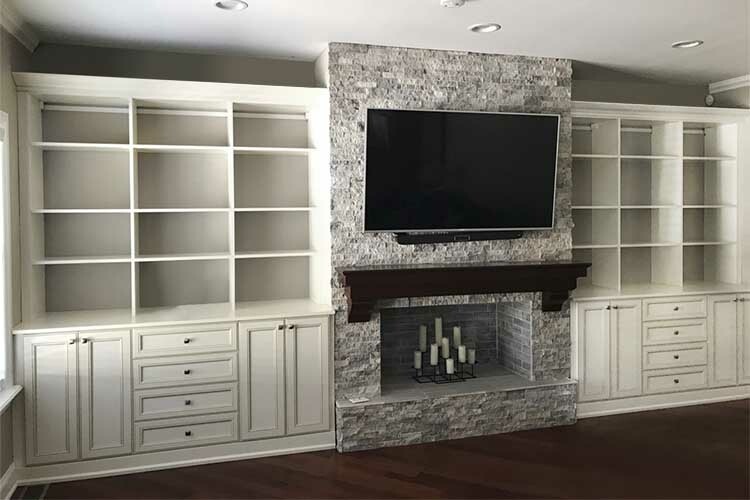 Bookshelves are one category of the more generic term "wall unit," meaning they are a storage unit that is usually constructed against a wall. Built in bookshelves are always physically attached to a wall or other permanent feature of the home. This is what makes them "built in" rather than a piece of freestanding furniture. Whereas furniture usually leaves with the homeowner when they sell the house or move, built ins remain. This is why they can increase home value. Built in bookshelves are also a great way to include very creative and personal design elements in the home while simultaneously maintaining a neutral backdrop for resale. Neutral color choices are often preferred by realtors in order to make the home appeal to the greatest number of buyers. However, when the color and design is achieved through the introduction of personal treasures displayed on shelving units, a large amount of personality can be injected into an otherwise neutral and easily changeable wrapper. A wall of bookshelves can be used to divide rooms. 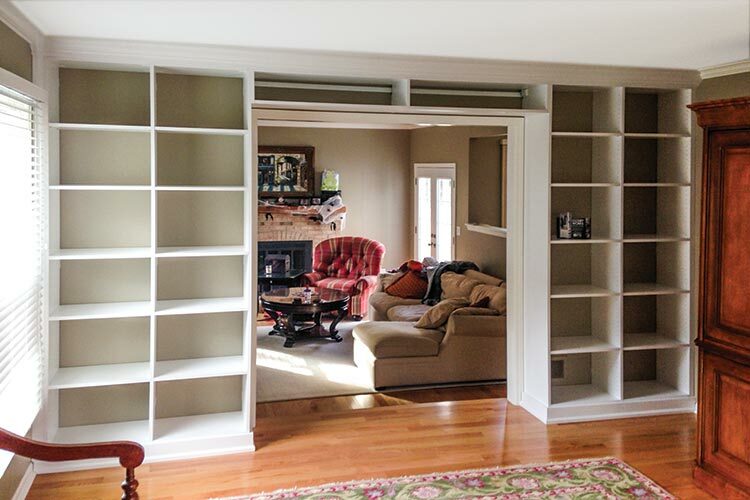 Done right, built in bookcases will increase the resale value of the home. 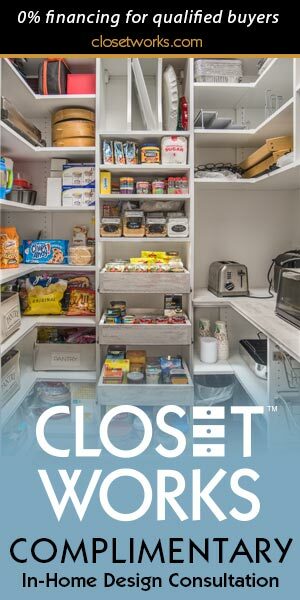 Key features that add value include proper placement, high quality construction, and flexibility through adjustable shelving configurations. 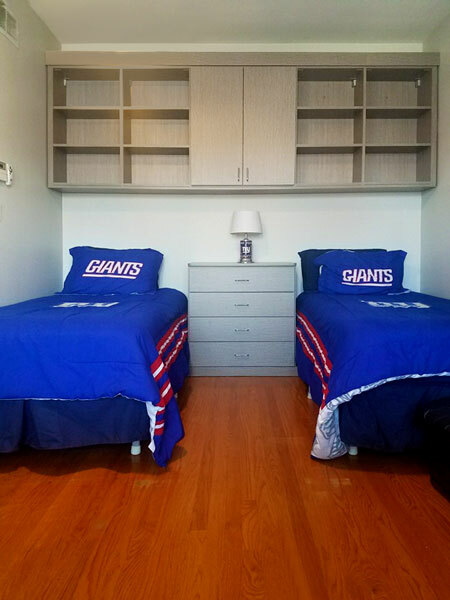 The added storage space from a built in storage unit should increase the home's value, as long as it is appropriate to the function of the room, is high quality, and is flexible enough to accommodate the next homeowner's storage needs. For example, a wall of quality built in bookshelves in the den or home office will most likely increase home value since they are appropriate to the function of the room and add practical storage to the space, while the same bookshelves in the bathroom or dining room might be looked at as a something that needs to be changed by the next homeowner. (If you like to read while on the toilet or use your formal dining room as an office, enclose the built in bookcase shelves behind doors for more of a high end cabinetry look or use freestanding bookcases that are not permanent). 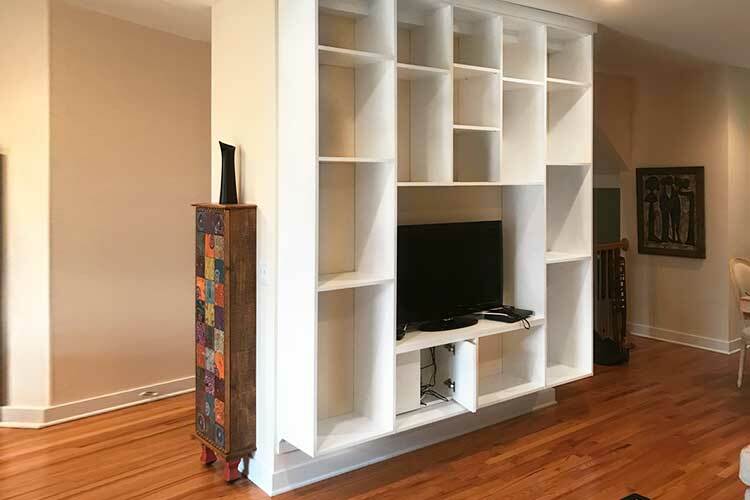 Built ins that are poor quality due to substandard material or installation never increase home value, as they will be the first thing home buyers tear out when they move into a new home — DIYers beware. Flexibility is also important as the built ins should be able to accommodate the next owner's different possessions. This can be easily achieved by making at least some of the shelves adjustable so that they can be moved around. Bookshelves can help define the focal point of the room. 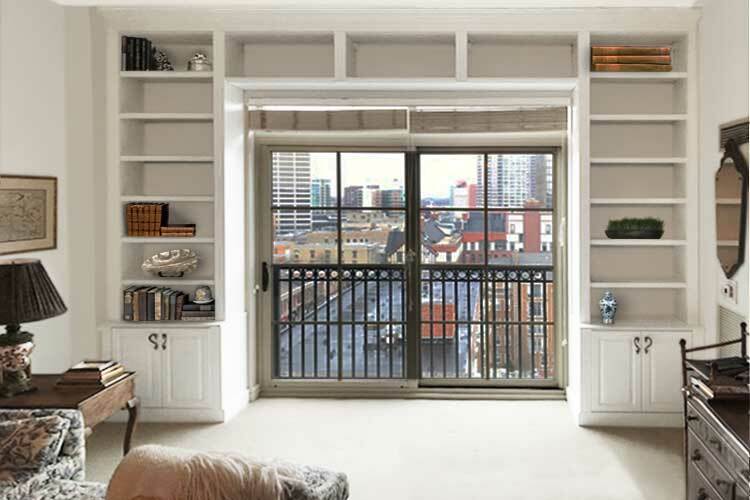 Use built in bookshelves as a frame for a beautiful view. They call attention the areas of your home that you most want to be noticed. Personalize them with family mementos and favorite objects to make them come alive, even when the window blinds are shut. A wall of bookshelves surround the sliding patio door. Bookshelves as a fireplace surround are a traditional way to frame a fireplace. Similar to the way that built ins can be used to draw attention to a beautiful view out a window or patio door, bookshelves help solidify the fireplace as the focal point of the room. Use cabinet doors over the lower shelves to conceal storage areas that you don't necessarily want in public view. Use the open shelves for favorite treasures, art, photos and, of course, books. When combined with the warm glow of the fireplace, they create a very cozy and inviting space. A wall of bookshelves surround the fireplace. With the rise in popularity of open floor plans, many homes are missing the hallway. Bookshelves can be a great way to separate spaces within a large room. Use them to help define the purpose of different areas in the space or provide privacy as in this example where the bookshelves help close off the pathway to the bedrooms. A wall of bookshelves makes a very functional room divider. A bedroom, by its very essence, is a very intimate space. Personalize the room further with a bookshelf wall unit that surrounds the bed and acts as a headboard. 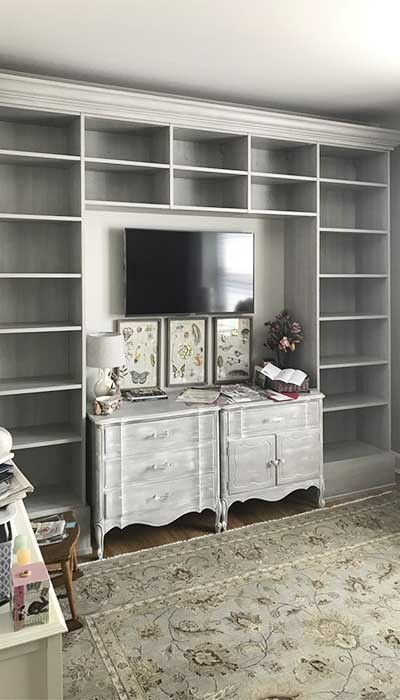 This type of built in bookcase adds unique storage, that can be easily depersonalized by removing items from the shelves when it comes time to sell. A wall of bookshelves makes a very personal headboard. Custom lighting combined with an overall theme can turn a wall of bookshelves into a highly personal art installation. This example highlights the homeowner's collection of statues and antique books collected during her travels to Asia. It is a highly personal installation that has a lot of meaning for this homeowner. She even went to far as to have the shelves arranged along the principals of Feng Shui, creating a harmonious display of all her favorite items. The artifacts are also easily packed up and removed, leaving a plain white bookcase behind for use by the next homeowner if she ever decides to move. A wall of bookshelves can function as a piece of art. Built in bookcases are practical for the added storage they provide and the potential for increased profits when it comes time to sell. Additionally, they allow the homeowner the ability to personalize their space while retaining a neutral pallet for resale. Key to getting top dollar when it comes time to sell is proper placement of the bookcase. Proven placements include the installation of a wall of bookshelves around a window or doorway, a built in bookcase around a fireplace to add warmth and personality, bookshelves as a room divider, bookshelves above the bed as a headboard, a wall of bookshelves as a giant piece of art. Also critical is the quality of material used to build the bookcase, as well as the skill in which is assembled. Less than professional handiwork is easy to spot and could decrease rather than increase your home's value. 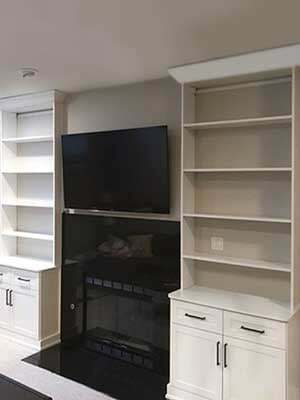 Flexibility in the configuration of the shelves is important in that the next homeowner's possessions may not fit properly with the same spacing used for your treasures. For this reason, adjustable shelves are recommended. 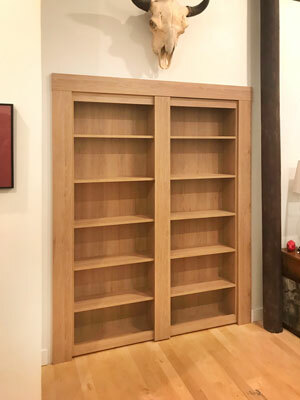 However, with a little forethought and maybe some help from the pros, you can add a beautiful floor to ceiling bookcase to your home that will provide a lot of enjoyment and a fabulous way to display all your favorite treasures, all while recouping the cost to build it when your home is sold.